Yay! It is finally here. 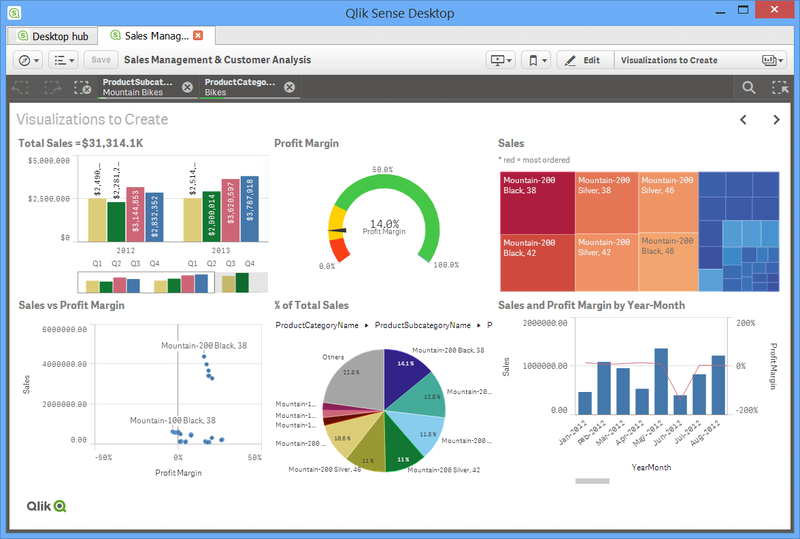 Qlik Sense, the product that has previously been called QlikView.next, has been released to the public as a free download. This is the desktop version of the product and is licensed similarly to QlikView Personal Edition. You can use it "...solely for the User’s personal or internal business use...". Right now, there is no server version but this will follow. Qlik have also promised a public server service - Qlik Cloud - to allow users to create and share content. This will be awesome when it happens. 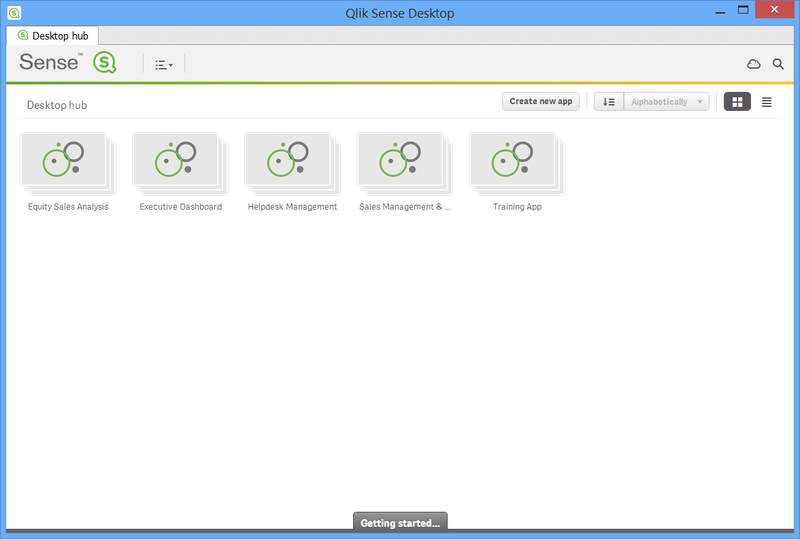 So, now Qlik have two products - QlikView and Qlik Sense. Qlik Sense is an evolution of QlikView, but QlikView will still be around for several years to come. So, what is in this new Desktop client? When you first open it, you arrive at the "Hub". This lists all your applications. You simply click on an application to open it. When an application opens, it will allow you to select sheets (just like current QlikView). The navigation between sheets is different, so will need some getting used to, but it is pretty straightforward. Opening the Sales Management demo app invites you to look at the new Story feature, where you can find out more about Qlik Sense. The sheets in this application allow you to try out creating new objects, and learn how easy it is. If you do feel brave enough to create your own applications, there is a very useful feature that allows you to drop a file of structured data into the application and then it will generate the data model and allow you to get up and running. If you feel really brave, you can go into the script editor! As it turns out, not really a lot of bravery required as any experienced QlikView developer will be able to get up and running in here - the script syntax is all the same. In fact, all your old scripts will run and generate a data model. 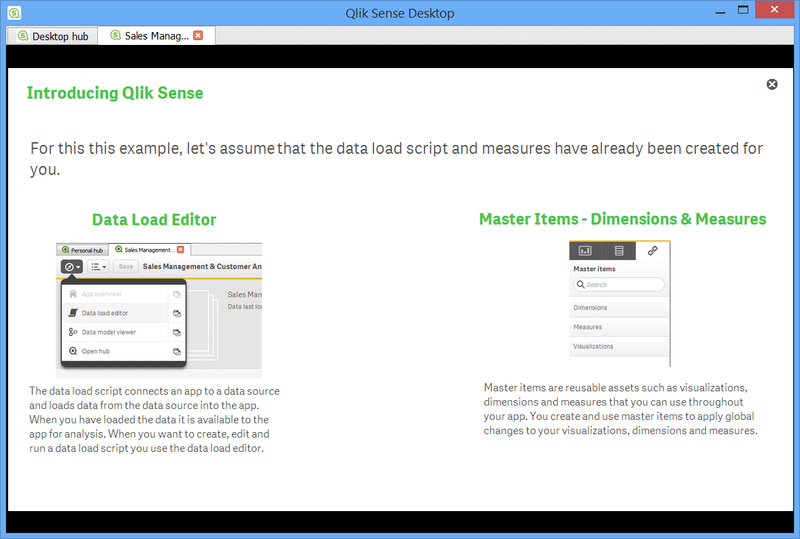 Your Qlik Sense apps, in the new QVF format, are stored in %userprofile%\Documents\Qlik\Sense\Apps. If you drop an older QVW file into this folder and re-open (F5 works) the Hub, the app will appear and can be loaded into Qlik Sense. When you save it then, it will be saved in the new format. Right now, only the data and script will get converted into the new format, all UI will be lost. There are also limitations around applications with hidden scripts and those with section access. I am really happy to see this new version finally released. It marks the start of a whole new Qlik journey and I, for one, am happy to be along for the ride. I can't wait to see where it takes me. In the free Sense Desktop version, is the data static once loaded into the app or can it dynamically query the database for new data? Thanks for the helpful article. Yes and Yes! Once loaded into memory, the data is static until you refresh it. However, you can also use Qlik's Direct Discovery technology to connect to a database and query dynamically for new data. Thank you very much for your quick response. Please forgive me but it seems Direct Discovery is for QlikView only at the moment (http://community.qlik.com/thread/127051). I am sure that it will be available in a forthcoming update. It is a key part of QlikView, so it is sure to be included in Qlik Sense. What about PIVOT Charts & Conditional Enablement Feature? Without PIVOT Charts, its is like not even considering for migrations of existing implementations.. Conditional enablement for out-of-box objects is really a guided BI feature of QlikView rather than a self-service feature of Qlik Sense. Of course, you could introduce it yourself with an extension object, but I wouldn't recommend it. Pivot tables may not be the best way of self-serving, although I expect a pivot table in a forthcoming release. When you have a straight table, & not pivot chart it doesn't make sense..
Again, I would consider the pivot table to be something that I would use to build a report type solution and this would belong in QlikView. For more free-form self-service data vizualization, the graphical charts are more important, with a table only needed to view underlying detail if required - not to deliver visual insight. 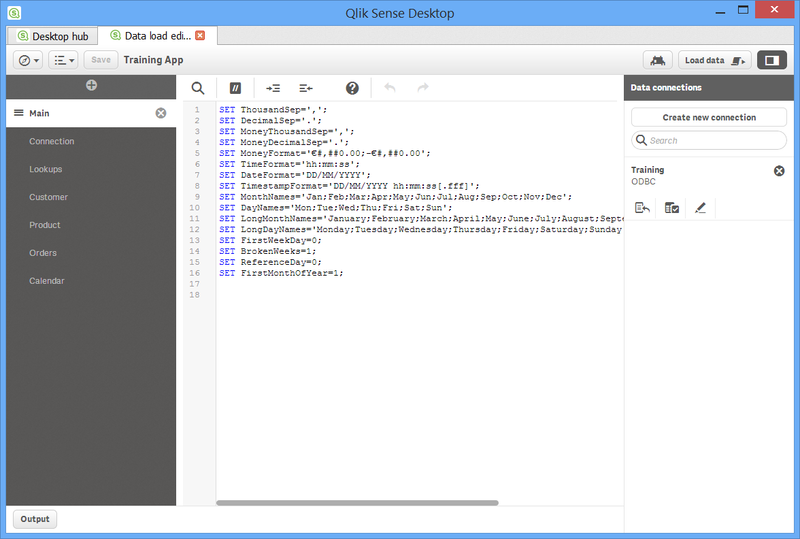 Does Qliksense has API integration like we have QMS API built in .net technology. Appreciate your support for the clarification. Sorry, I can't comment on unreleased software. We can assume that there might be some kind of API and that it will be different from the existing API. Can Qlik Sense be published to the same server as the ones I have now for QlikView? or does it have to be a different server and what is the server requirements needed for configuration that differ from what I have for QlikView. is the licensing differ and how?